One of three orphaned black bears rehabilitated in Muskoka was attacked and killed by another bear in Banff National Park. Parks Canada confirmed on Wednesday the bear was attacked by another bear, believed to be a grizzly, in a thick berry patch in the park. Officials say its collar had shown no movement so conservation staff went to investigate and discovered her carcass. 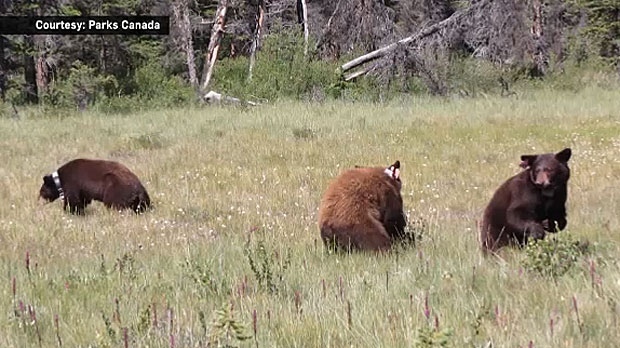 The two other bears are still in the area where they were released, according to Parks Canada. The three cubs had been flown to the Aspen Valley Wildlife Sanctuary in April of 2017 after they were found in a park bathroom. The bears were released back into the park in July.